Finding the right message is probably the most important task in a political campaign. Unfortunately, it is also among the most neglected ones. At the start of many campaigns there are enthusiastic and lengthy discussions about posters, pictures, events and ‘give-aways’. It is in fact better to begin with a simple, but sometimes very tough, question: What do we have to say? What is the key argument to convince voters in the short and precious time that they give us? Sometimes, the answer to this question is obvious and easy to find. At other times, the situation is complex and it is hard to come up with a good message. There are also those occasions when you simply can’t see the wood for the trees. But with the right message for your campaign, life is so much easier. Your message becomes the heart of your campaign. It serves as a guideline, as a leitmotif, and everything you plan will have some element of the message in it. 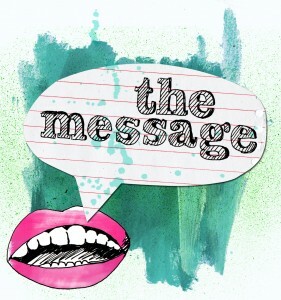 What is a good message? A good message is simple and clear. It is written in plain colloquial language, not in the flowery phrases used by politicians or the artificial slogans of advertisers. A good message is true and credible. Be aware that truth and credibility do not necessarily coincide. A message can be true, but at the same time not credible, because the voters don’t believe it. As an example, I would never say that people should vote Green because we are the “party for the economy” – even though I am convinced that the Greens have the best ideas for the best economy. Because nobody would buy it. I would instead say that people should vote Green because we are the party which reconciles economic interests with environmental concerns: “Greens know how to grow sustainably”. This is a message which is both true and credible. A good message gives a reason to vote Green at this particular election. Therefore, it is not enough to say: the Green Party promotes the environment and social justice. No, you must make clear what your answer is to current problems. Write a message in the specific context of the present campaign – and not as a general statement. A good message gives voters a clear choice. It shows the difference between you and your main political opponents: This is what I stand for and this is what the others stand for. If you come under attack, a good message will defend you preemptively. Director of Communications for 'Bündnis 90/Die Grünen' since 2007, Robert was part of the team which led his party's European and national election campaign in 2009, with a strong focus on the Greens' online campaign, which invested heavily in social media, volunteers' participation, and dialogue. Prior to that, Robert worked as a freelance journalist for several newspapers, magazines and radio stations, and, from 2003 to 2007, was Head of Staff in the office of the Secretary General in the Green national party headquarters. He studied political science, economics and sociology in Leipzig, Washington and Berlin.